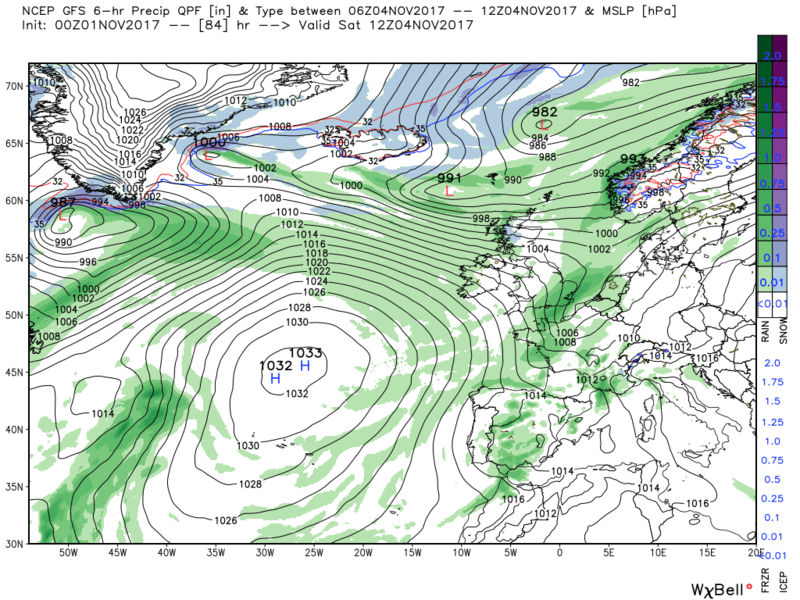 That rainfall accumulation chart above clearly shows the mild, moist SW'ly winds will be soon returning, so Western Scotland in the firing line but also very wet across SW Ireland and to a lesser extent West Wales (that'll probably come from persistent steady rain which could get stuck for days like we had last week here in South Wales). The low pressure system itself might be moving in from the NW but tbh I would say the winds will be coming from the SW bringing large amounts of rain to some western areas as they carry all that moisture off the relatively mild sea and dump it onto the hills and mountains especially. Here last week SW'ly winds and a stalled front which eventually moved south then north then south brought 3 days of continuous drizzle and fog/mist together with temperatures up to 16-17C. Quite a surprise to see this mornings ECM develop more amplification over the USA and Canada which then allows some ridging to develop to the nw with suggestions of a north/nw flow after day ten. 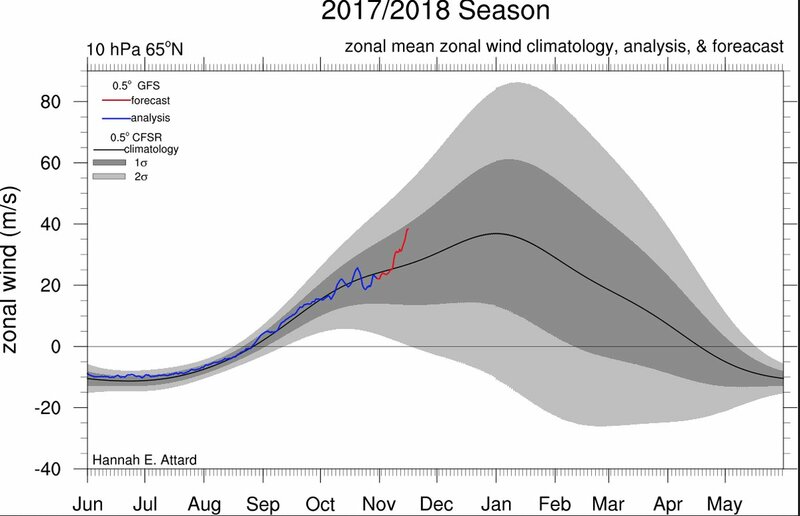 The models do seem to be trying to move the PV away from Greenland which would be a positive sign for coldies but this is into the less reliable timeframe. 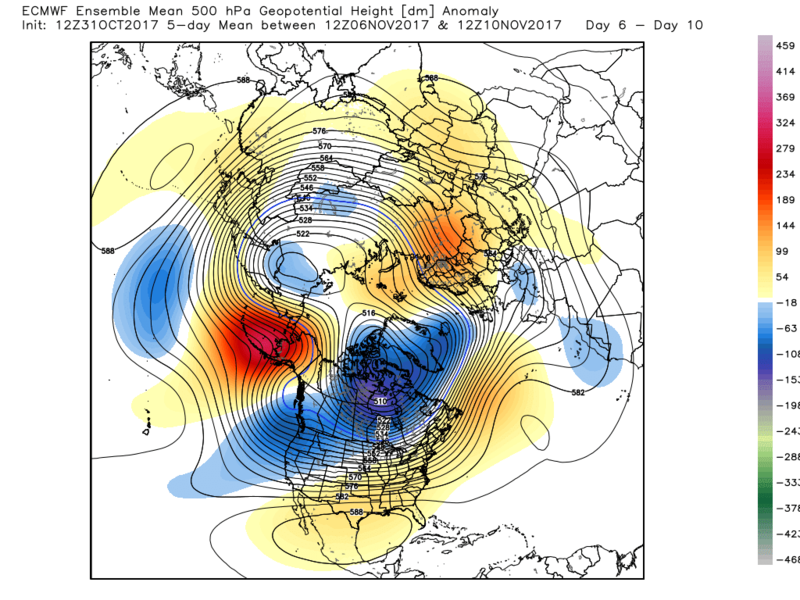 NCEP will be updating their monthly forecast for the USA later and that could provide some pointers as to how that upstream pattern could effect us here in western Europe. 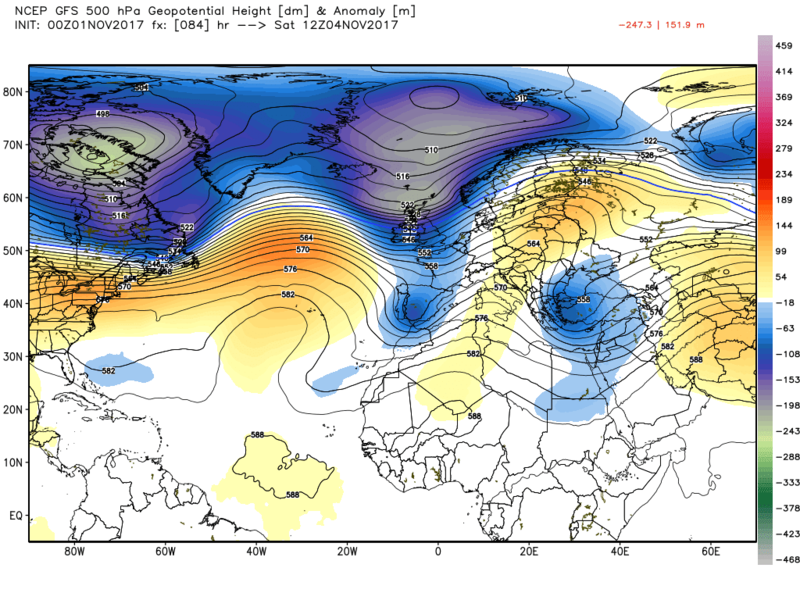 Looking at this evening's GEFs 7-12 anomaly one can see where the det run is coming from. 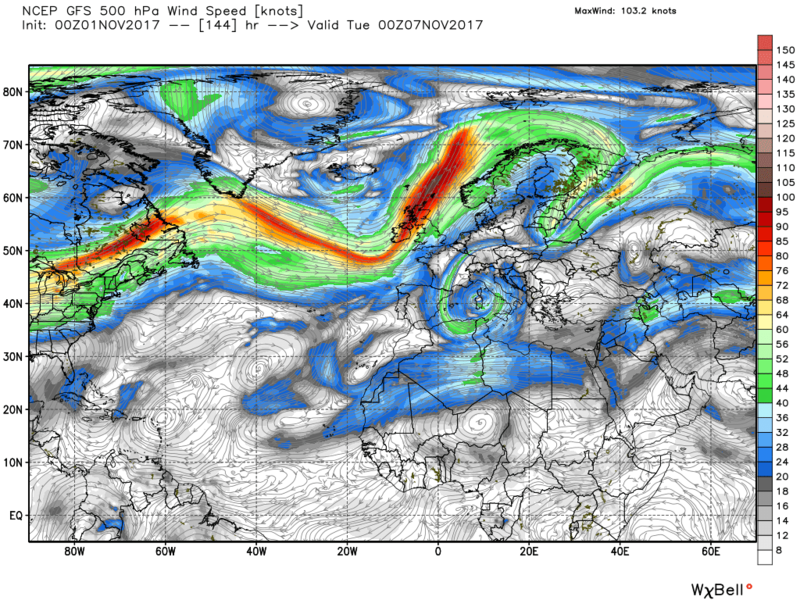 Upstream the vortex over N. Canada with the positively tilted tough across NE N America and the other associated trough orientated south east Greenland/Iceland area, Thus a strong upper flow running east south of Greenland where it is to some extent restricted due to the Azores high pressure pushing north in mid Atlantic. The also facilitates the split flow, which also abates, in the east thanks to the low pressure and slack gradient to the south of the UK. This should portend some quiet weather, perhaps as usual excluding the north, providing of course nothing nasty sneaks up from the south. 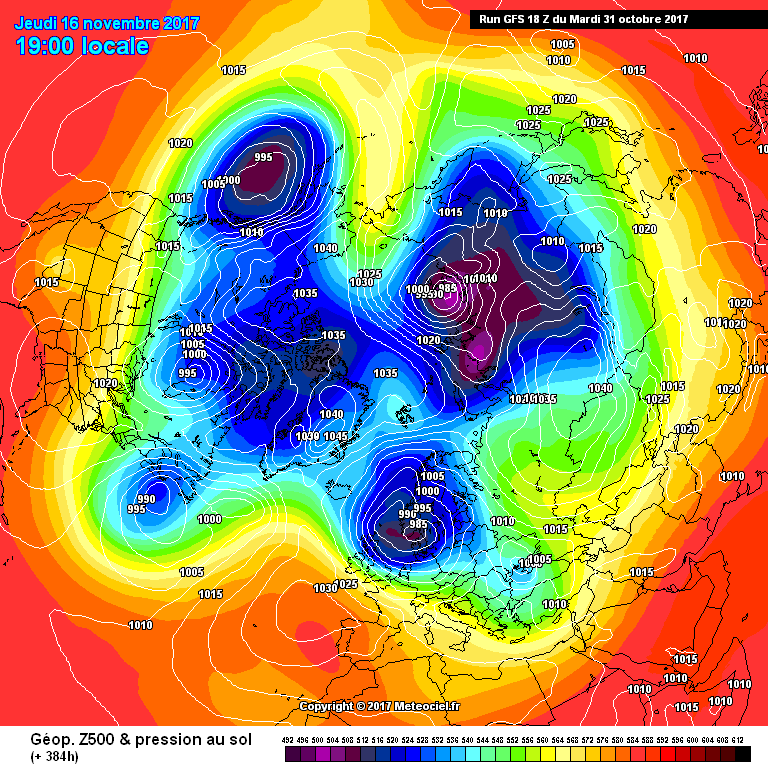 Tonight’s ECM continues to fragment and move the PV with signs of an Arctic high forming ne of Svalbard. 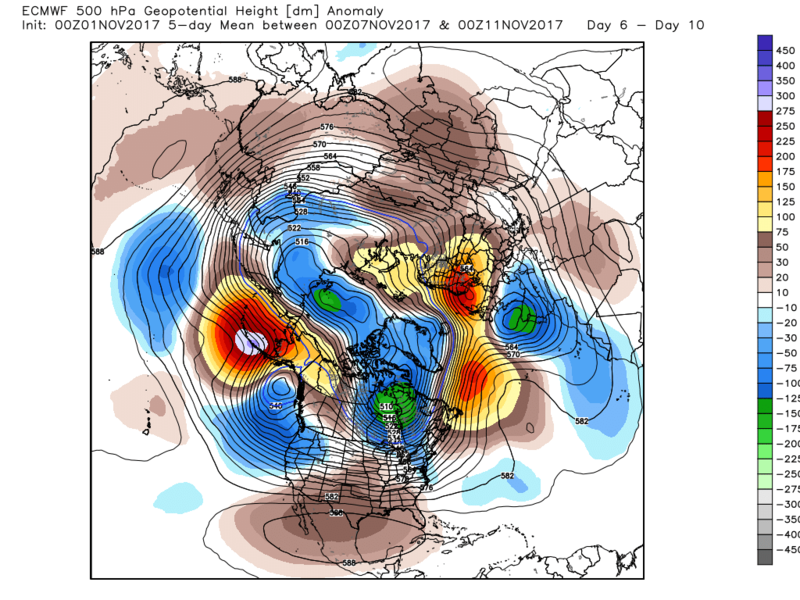 Although we’re not seeing a straightforward route to something more interesting if you like colder weather if the models are reluctant to limpet the PV over Greenland it does leave the door open. 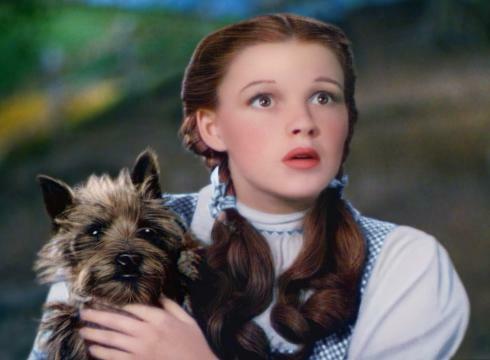 "vortex, i've got a feeling we're not in greenland anymore...."
Not complete agreement between last night's anomalies but I suspect it may be down to timing. 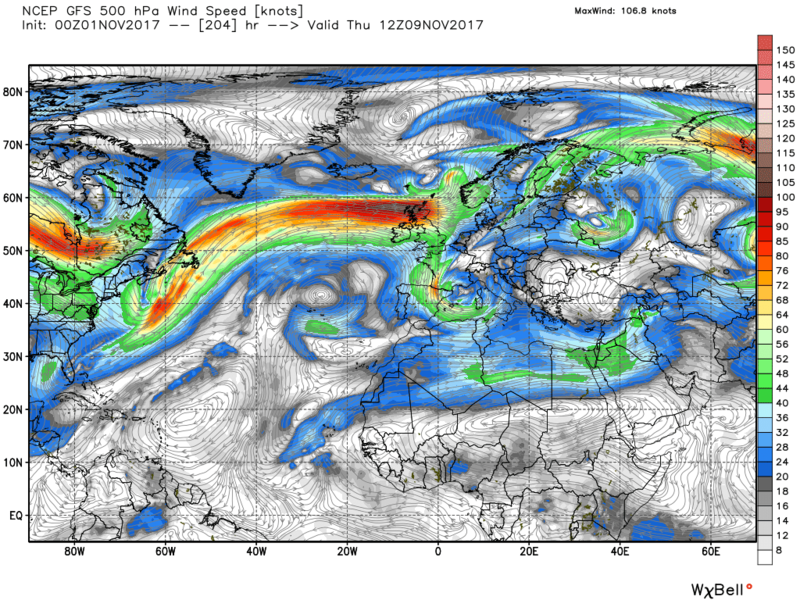 Upstream not a problem with the Aleutian/Alaska ridge, vortex N. Canada and associated trough orientated south east to the north west of the UK. Thus a strong upper flow to the south of the latter but at the coal face to the west of the UK the flow splits thanks to pressure from the Azores pushing north and the influence of the trough to the south. The det runs need to decide the detail on how this pans out but the percentage play would appear to be increasing influence of the HP in the southern half of the country and more changeable in the north,,Temps a tad below average but a fair diurnal variation. Meanwhile back at the farm high pressure still in charge thus a largely quiet day with sunny intervals after morning cloud and fog has cleared for most of England and Wales. A bit more cloud in the far north of England and N. Ireland but central Scotland is the problem area with a slow moving front, persistent rain and quite windy. The north of Scotland brighter with showers, Tomorrow cloudy with sunny intervals for most but more persistent cloud in the Midlands as the front slowly tacking south fizzles out. The ridging on Thursday is quickly shunted away on Friday st the upper trough to the NW joins forces with the cut off low to the south and by 12 Saturday a surface fronts has tracked east across the southern half of country bringing rain with it. After the passage of the front and the main trough to the north the Azores once more pushes NE of the UK on Sunday giving a pretty dry bonfire evening. But the high now comes under massive pressure from a deep trough the north west (the scenario mentioned at the beginning of the post perhaps beginning to unfold) and surface fronts are slowly pushing south east across the country by 00 Tuesday. 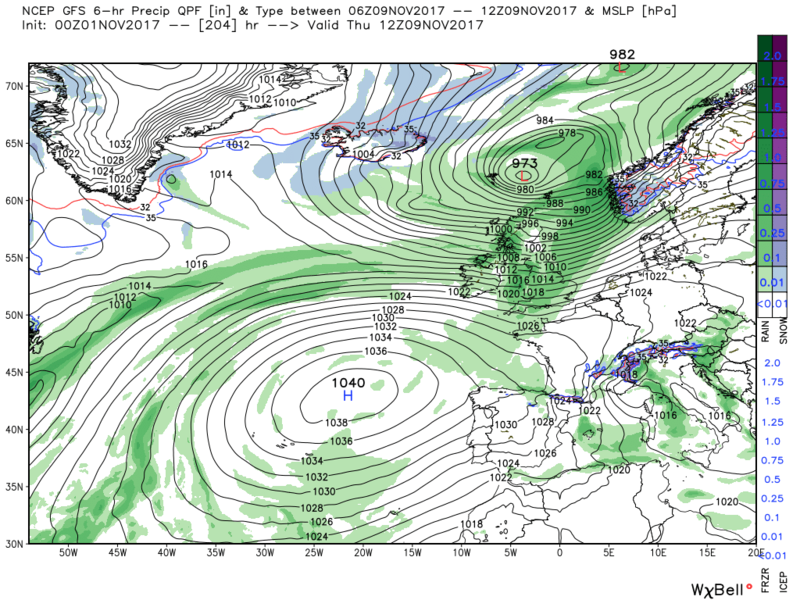 The front(s) quickly clear to the east but after some brief ridging the next trough has tracked quickly east to be north of Scotland by 12 Thursday with associated fronts and strong winds impacting most of the UK. 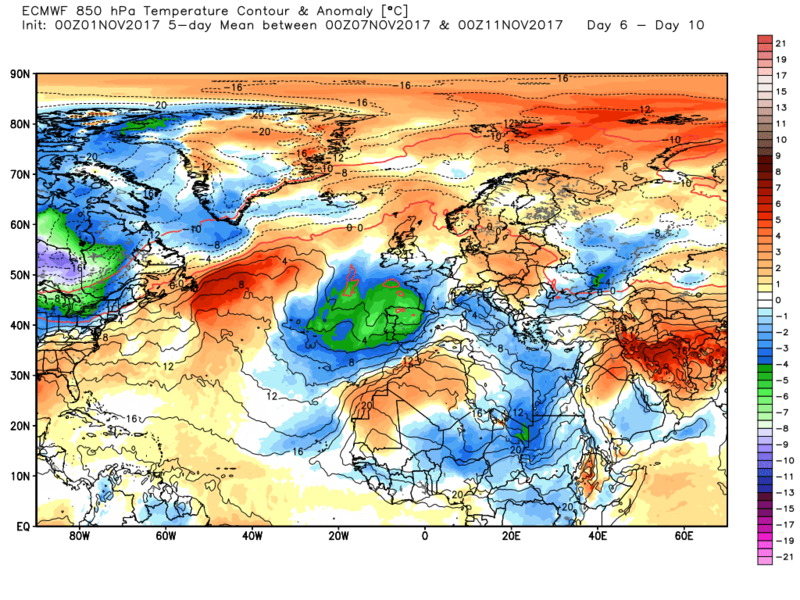 It can be seen from this, only IMO of course, how important the interaction of the Azores and the energy pushing east is in determining the detail of the weather over the UK and that this is a long way from being resolved next week. As suggested by recent meto updates drier towards the SE as the jet fires away to our North so pretty much a contiunation of the mind numbing pattern that persisted through the summer..ie the NW gets the majority of the wet stuff. 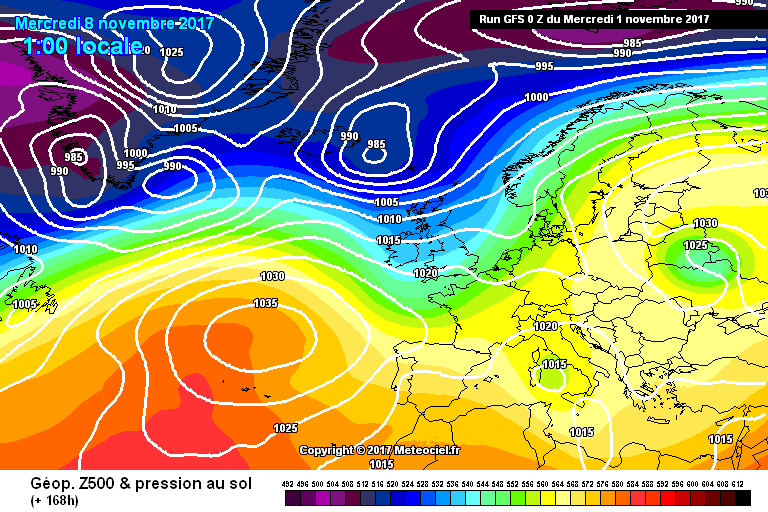 And right on cue the ecm differs from the gfs quite drastically next week, well initially. Midnight Weds it has a renewed bout of amplification with high pressure surging north over Scandinavia and in mid Atlantic which disrupts the trough just to the west of the UK. 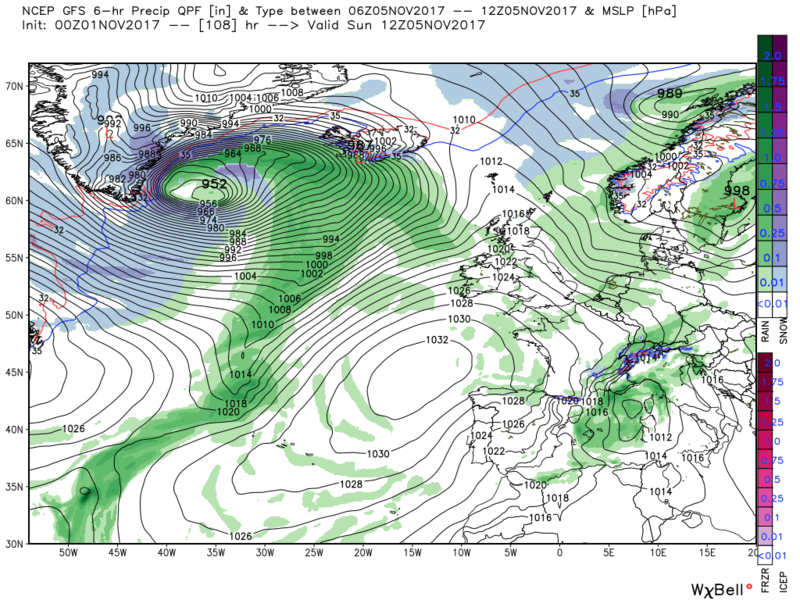 This establishes low pressure to the south of the UK and allows the Azores to ridge NE/E over the top as the Scandinavian ridge is flattened by the east bound energy to the north. 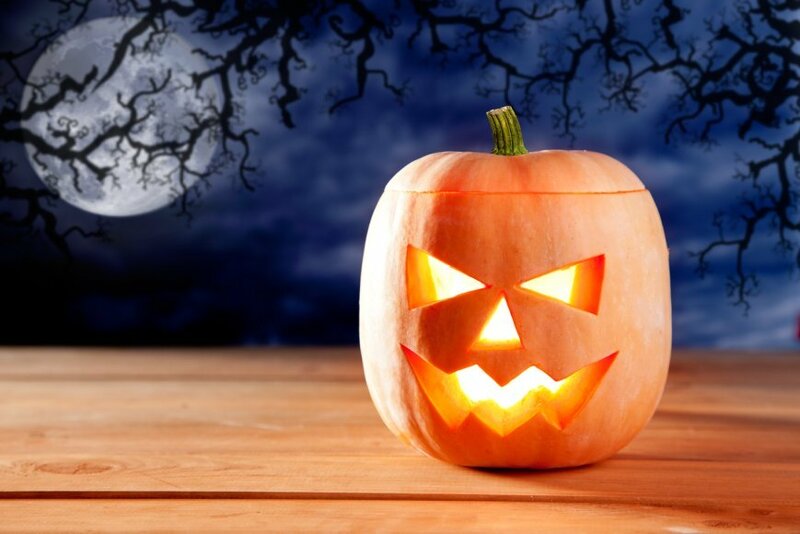 Another variation on the theme. 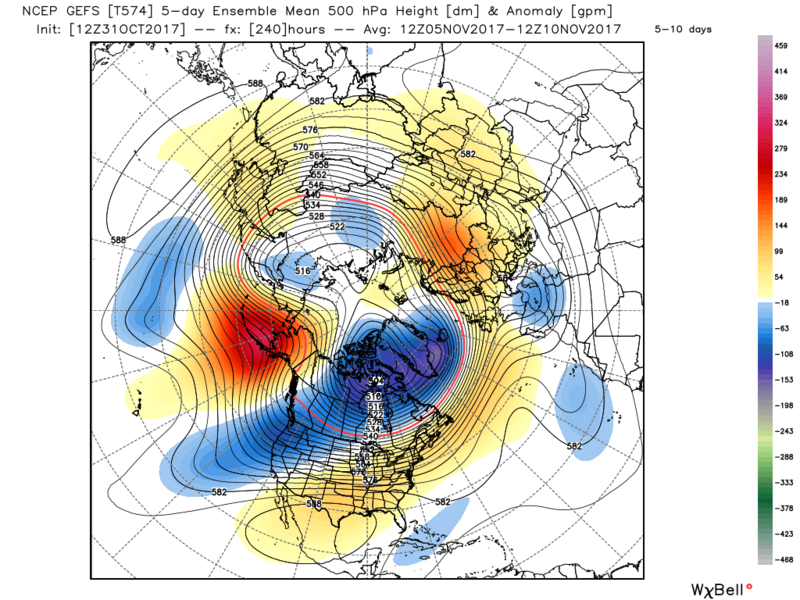 Yes ecm is quite different to gfs and more preferable. Best thing for me about both these sets of predictions is the lack of a raging Atlantic influence which should mean considerably less rain for western parts than has lately been the case. 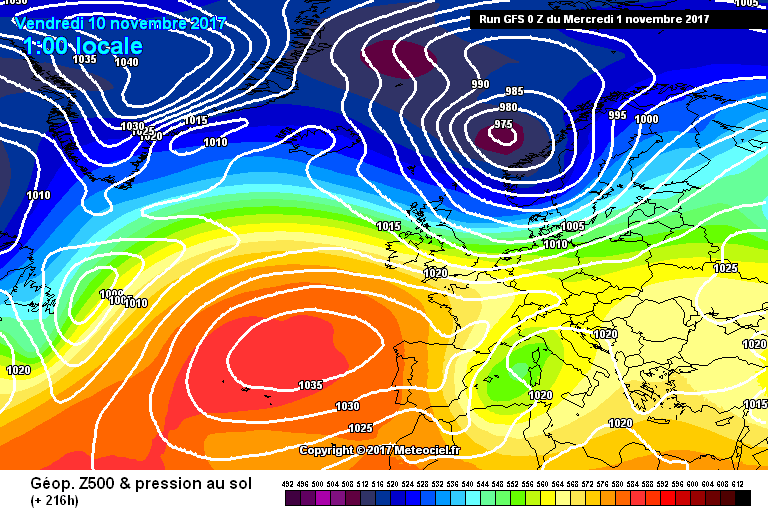 We have trouble brewing in the Alps for Sunday and into the following week. 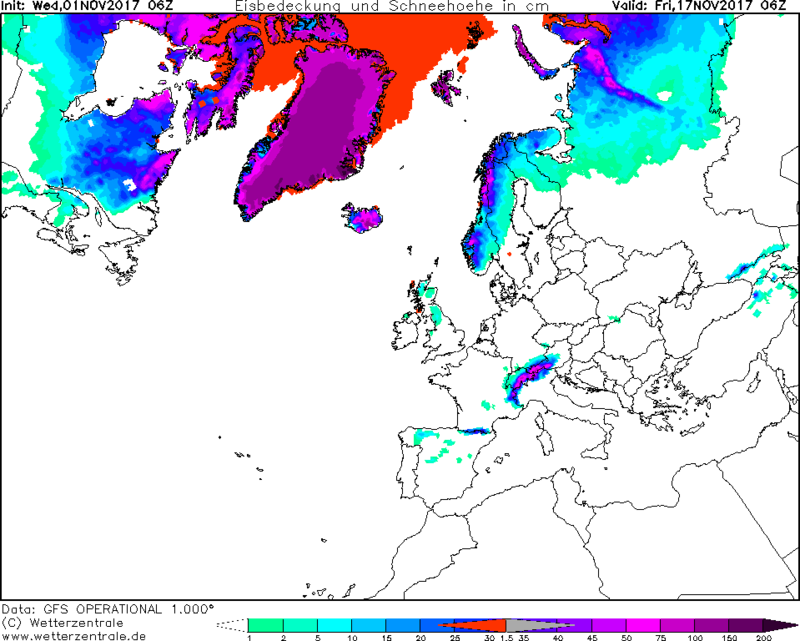 Classic freeze thaw conditions with freezing level this coming weekend ranging from 3000m down to 1500m. 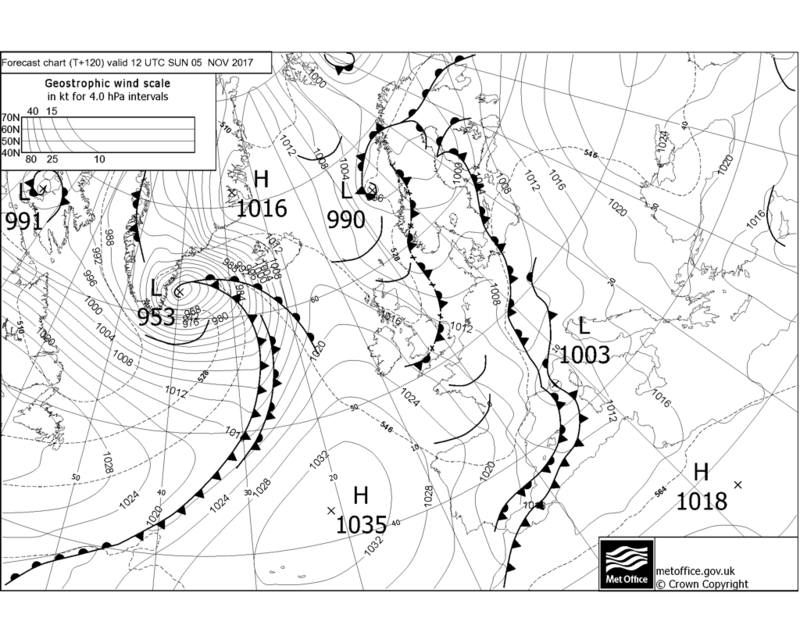 An active front has been forecast to stall over the Alps with copious amounts of rainfall. We in our location have a fine mesh model prediction of 26mm during Sunday which could turn back to snowfall. 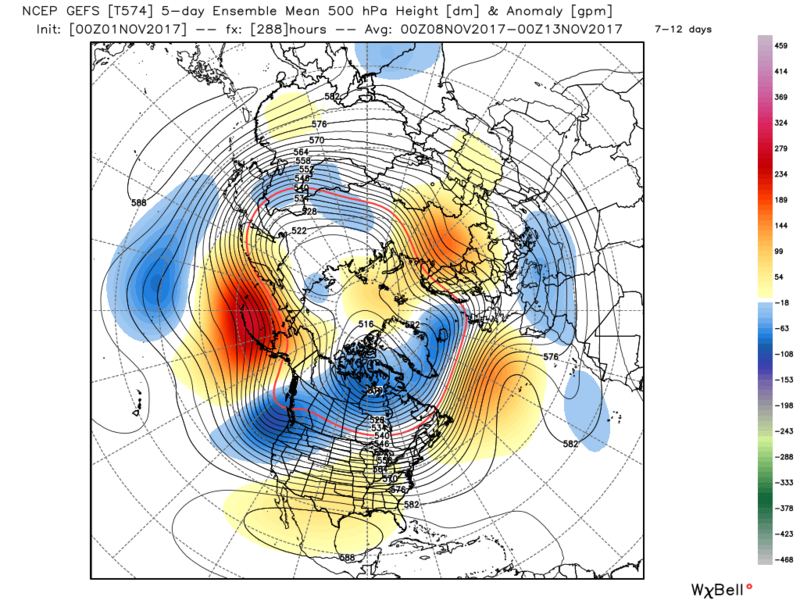 Cold air under cutting warm air above makes for Genoa Cyclonenis likely. This is shown on the ECM models out into next week with further pulses of heavy rainfall probably heaviest on Thursday before the energy slowly dissipates. 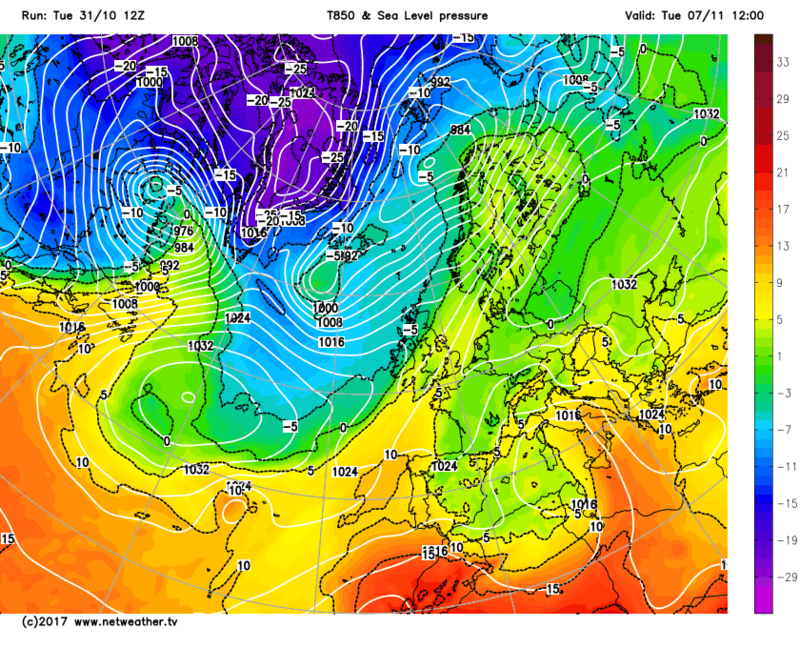 A nightmare scenario for our piste preparation planners with freeze /thaw conditions and lots of precipitation. It is indeed but I get the feeling that it may be over-amplifying the pattern. 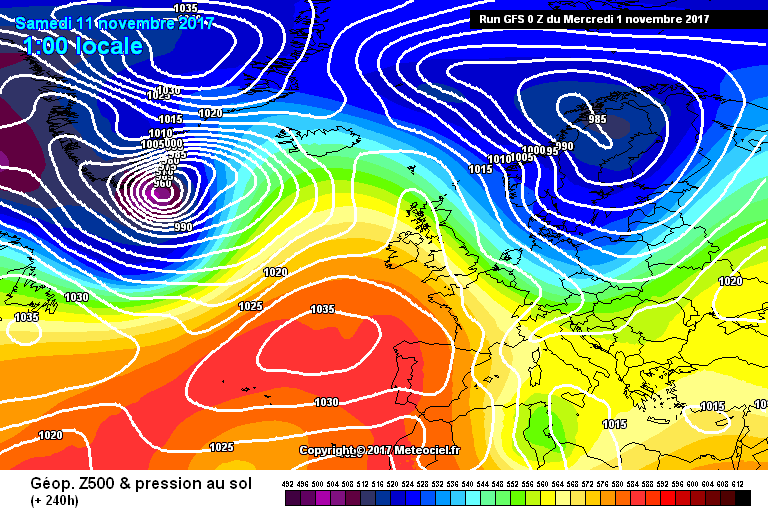 The UKMO at 144 hours looks to me closer to the GFS than the ECM. 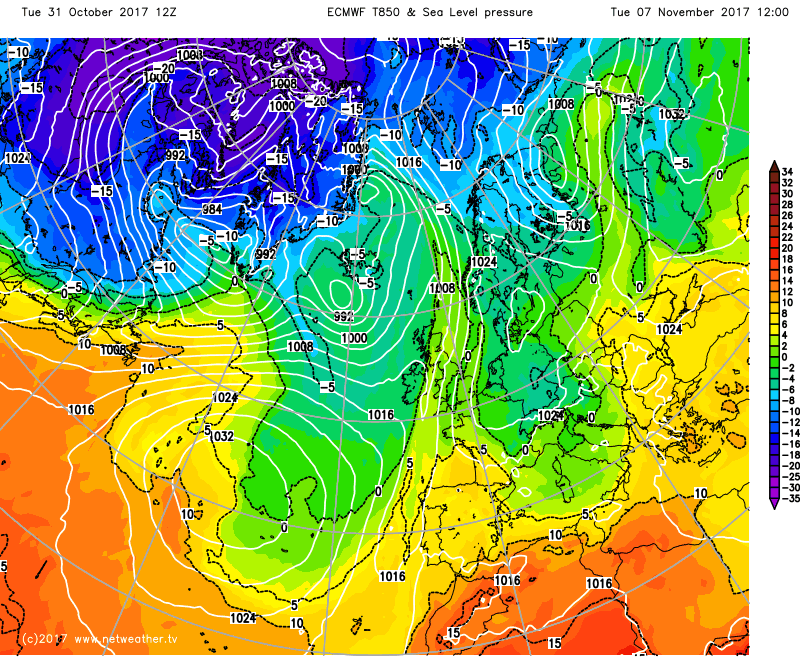 Some bizarre goings on this morning with the ECM which seems to have been at a Halloween party. 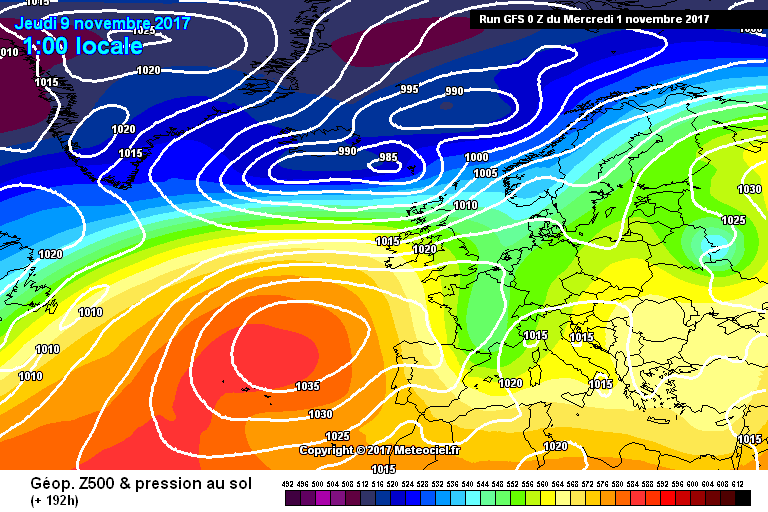 It quickly develops high pressure to the ne and isn’t supported by either the GFS or UKMO although the GEM seems to have been at the same party . We’ve seen some outlandish outputs from it over recent winters but generally these start showing up post T168 hrs but the changes here start around T120hrs. 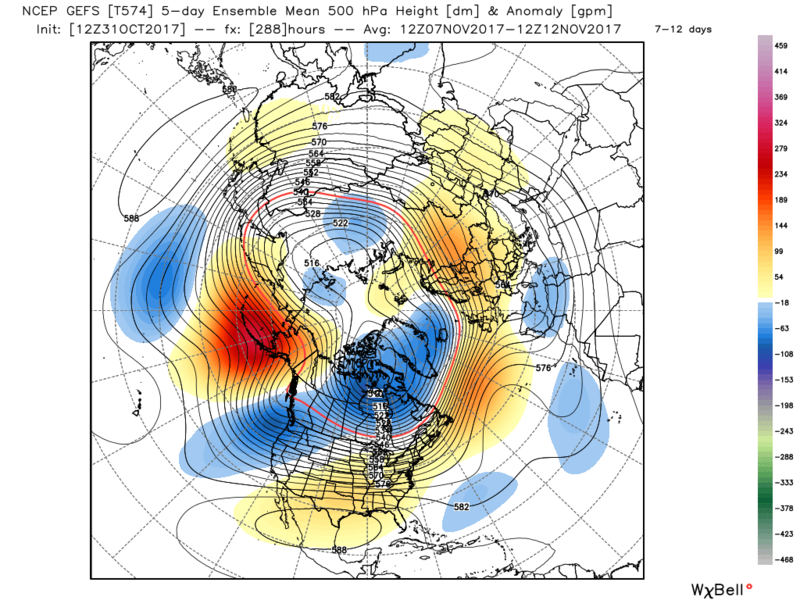 Indeed Nick the ECM was constantly over amplifying last winter and to some extent the winter before that but as you say it was always toward the end of it runs, maybe its on to something if I remember winter 2012/13 correctly the ECM was always first to go for blocking and amplification while the GFS was always dragged kicking a screaming to the party late on. fun and games starting early this year. The 6z GFS is more amplified than the earlier run, especially in the post 144 hour period, but still nowhere near what the ECM shows. 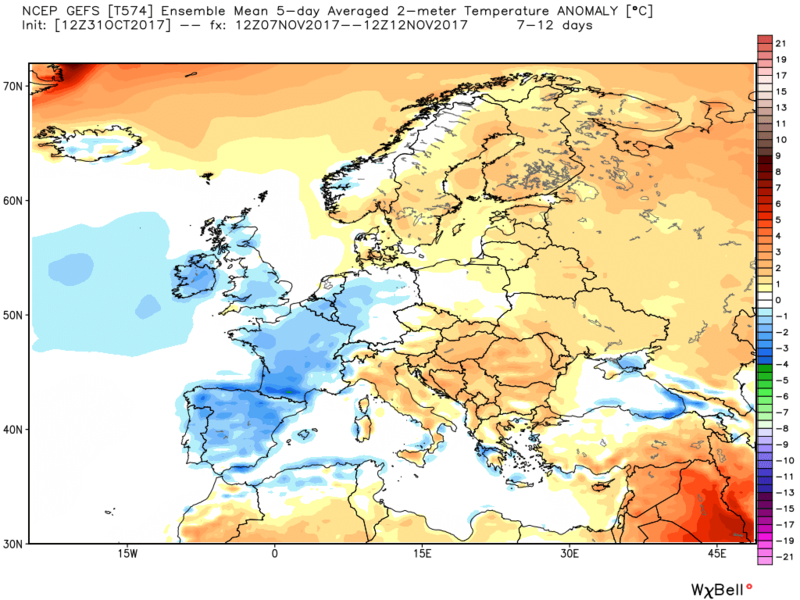 @bluearmy - thought you'd be interested in this - not unanimous but a growing number of ECM ensembles going for lower heights over Europe in the D10-D15 period? LOL! Don't you know your Icelandic ?? 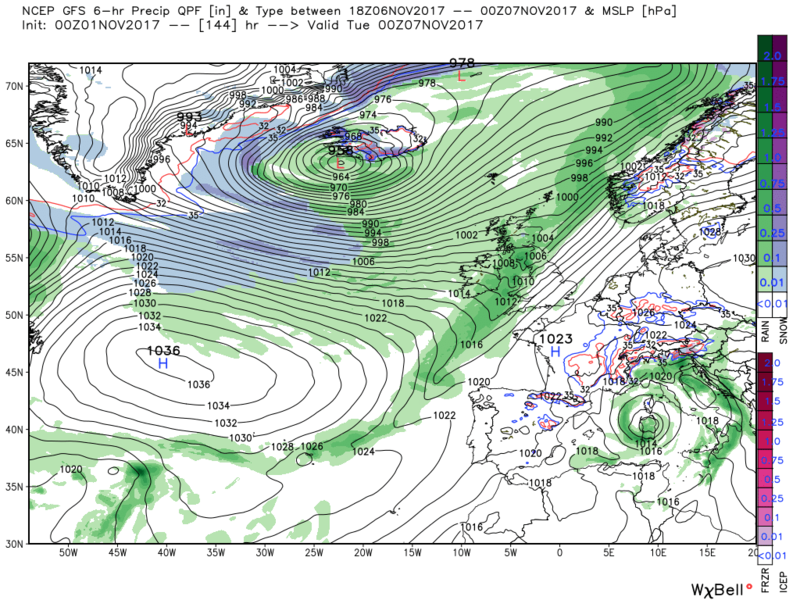 More importantly, "klasa sviosmyndir" means "cluster scenarios"
Whether it comes off or not, still nice to see some snow cover prognosis for Mid November on this latest GFS run for parts of Northern Britain. A messy GFS 06hrs run but the key trend is the fragmenting PV and reluctance to stick a foreboding tightly coiled PV to the north . Perhaps the ECM is into something , I’m wondering whether we’re seeing some reaction to the MJO, last weeks global tropics hazards outlook mentioned the chance this could impact the long wave pattern in the USA. As mentioned earlier in the thread by BA signs of lower heights over mainland Europe which does help deliver something colder. I think I can recall a similar thing happening in 1974...Three guesses for what the Daily Excrescence was predicting!